More than a decade back, Sreenivasan had fallen out with his producer Vindhyan, who gave him his first directorial venture Vaddakkunoki Yantram. 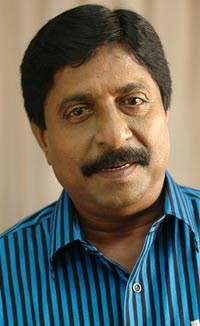 Now after 11 years after Vindhyan has approached the Kerala Film Producers’ Association (KFPA) and filed a complaint against Sreenivasan for not returning the amount. KFPA has taken immediate action and circulated a note to its members not to sign Sreenivasan for any of their future projects. Meanwhile AMMA and FEFKA, which had formed a coalition with KFPA against the MACTA, has objected to its decision to boycott Sreenivasan. In a combined statement both these associations has called to lift the ban on the writer, director and actor.